Achieve optimal results with your photos through the editing and organizational power of Adobe Lightroom CC. From the basics of photo editing and organizing to creating your own photobooks, Henry’s Learning Lab - Adobe Lightroom teaches you to work quickly and effeciently using this powerful software. Your 1 Year Adobe Lightroom CC Web Subscription gives you full access to dozens of classes by world-renowned photographers. Discover the tools and techniques that pros use to organize and edit photos in Lighroom CC. With classes available online all the time, you can learn everywhere on your computer, iPad, iPhone or Android. Best of all, you can learn on your own schedule, at your own pace. 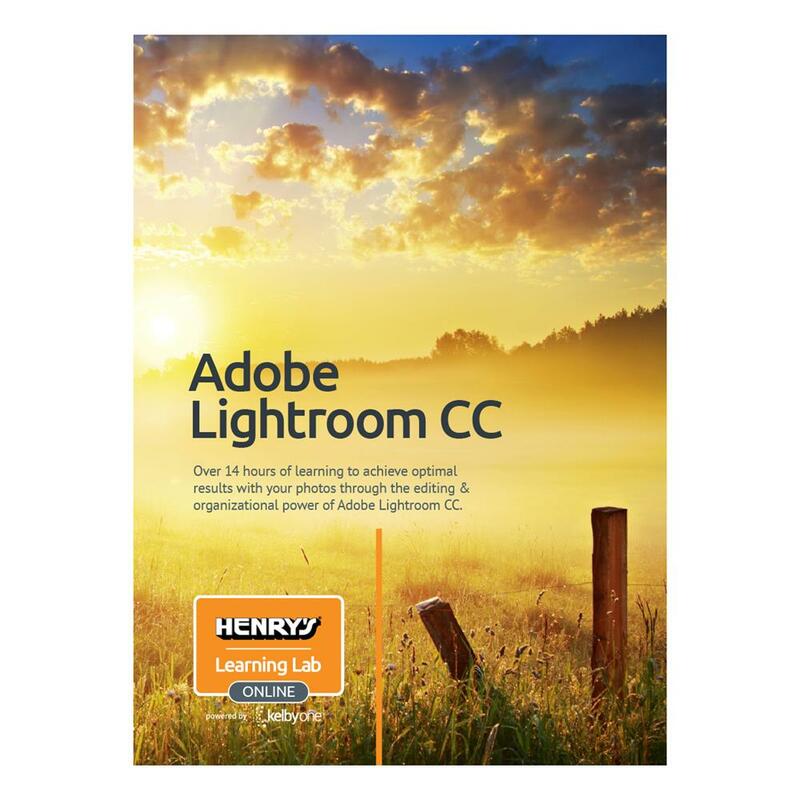 Note: The Adobe Lightroom CC program is not included with this educational subscription. Learn the ins and outs of every panel and function on the Import dialog as Scott shows you the different options for getting your photos into Lightroom. Get well versed in the editing process, the Develop module, and all of the steps that can make your images the best they can be. Learn more about what Presets are and how they can really help speed up and add creativity to your workflow. In this course Pete will help you understand how to use the Slideshow and Web Modules and where the limits of each of these lay. RC starts with an overview of what makes a great print, and then dives into the details of how to achieve it. Add a new dimension of creativity to your workflow by designing your own photo book in Lightroom CC! Scott will show you how. Collections are not just about single rules. RC goes over how to add additional rules as well as delete rules in a Smart Collection. Get up and running in Lightroom mobile,and learn to work smarter, faster, and better while on the go. Work faster by working smarter with this collection of tips and tricks. By the end you'll be amazed at how much more efficient your workflow will become!